In this article we'll cover the basics of what a growler is, the types of growlers, why someone should purchase one as well as how to take care them. First, what is a growler? [So the stories go] In the late 1800's, the term growler referred to the round metal pails that were used to ferment beer in, or transport beer from the tavern/bar back home. While fermenting the beer in the pail, it would make a bubbling sound, which individuals appropriately named "growling". Fast forward to modern times and the growler is an empty jug for craft beer to go from the bar, grocery store, restaurant, filling station, brewery etc. How you transport beer from your favorite local brewery back and forth? A growler is a helpful and cost effective way to do this. Growlers come in all different sizes. 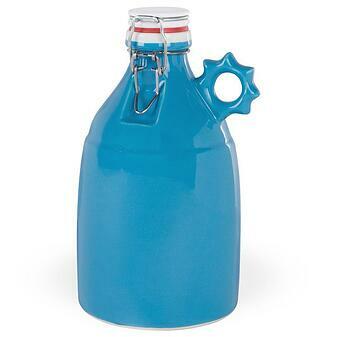 Starting with the most popular, a 64 oz., this growler holds four pints of beer. There is also a 32 oz. 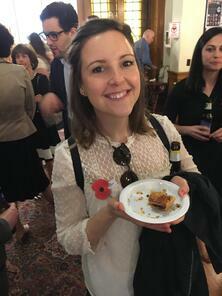 which equates to two pints, which is most commonly used to enjoy some delicious craft beer by yourself. Lastly, the least popular of these there is the gallon growlers. Glass growlers are the most popular. You'll see numerous colors as well, ranging from amber, blue, clear etc. but there is a reasoning behind it. Amber growlers are the most popular for craft beer because the darker color protects the beer from light, sun light in particular. When long periods of light hits the beer, it causes the beer to turn bad or turn into "skunk" beer. Clear growlers are for Kambucha, which is fermented tea. 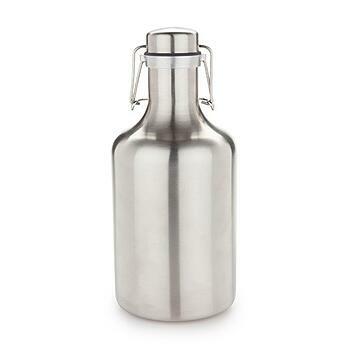 Stainless steel growlers have become quite popular lately as well. They also range in size, but the 64 oz. and the 32 oz. are most popular. Stainless steel growlers can also be single walled or double walled which helps keep the beer colder for longer. 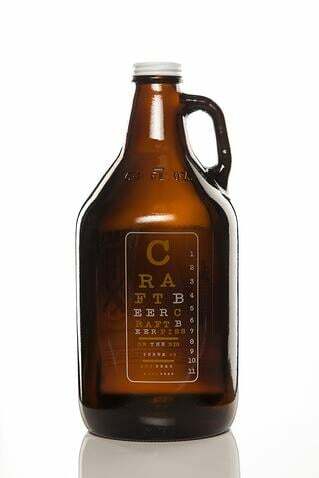 Growlers are a great way to get limited release beers, seasonal beers or even your favorite beer home from the bar, restaurant, filling station, grocery store, brewery etc. (laws very by state in regards to what establishments can fill growlers. Check your states laws here). It's the best and only way to support the local breweries that don't want to can or bottle their beer or can't afford to do so just yet. They're great for hosting parties. If you have a few beer afficionados coming to a house party, a great way to make them feel at home is to pick up a growler of a beer they can all share in together. Cans are cool, but sometimes a growler can be more authentic to a beer-lover. If you or someone you know home brews, growlers are a great way to transport your home brew to your friends or local home brew clubs. Cleaning your growler is quite simple. Once you have poured the last pour of your beer from the growler, take the time right afterwards to rinse your growler out a couple times with hot water and then let it air dry. When letting it air dry, you want to be sure that the left over water can drain out. Once dry, take it back to your local growler spot and most will sanitize the growler for you and then fill it back up. If you should forget to rinse your growler after the last pour, fret not, there are growler cleaning supplies out there that you can buy at home brew stores or online. Keep in mind that most growlers are not dishwasher safe, especially custom hand painted growlers and screen printed growlers. This article was written by the team at the very popular Haüs of Growlers. Haüs of Growlers was founded in 2013 with a simple idea and mission: Give craft beer lovers a fun, creative, unique way of expressing themselves with growlers and other craft beer products. Now that idea and mission have been going strong now for three years now and we show no signs of slowing down. We have plans of opening up growler filling stations in late 2016 early 2017.